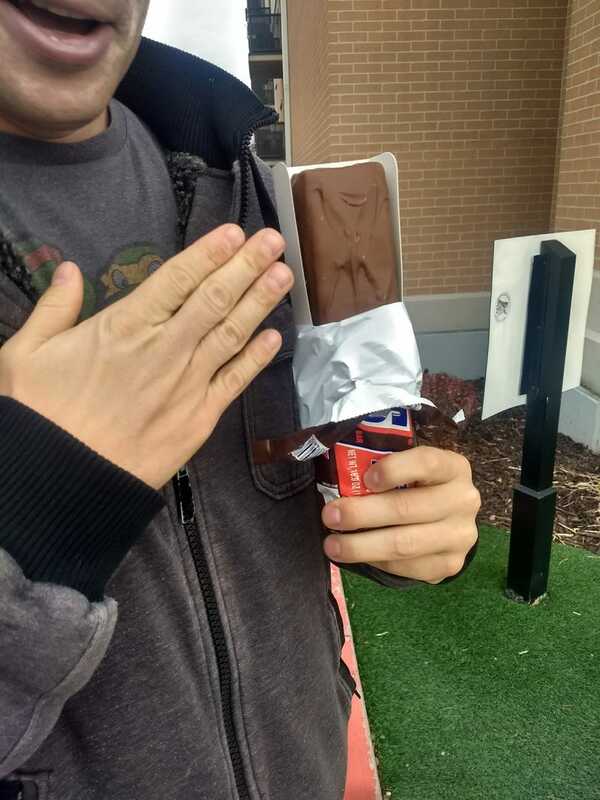 My coworker just bought a 1 lb snickers bar. 240 calories per serving, 9 serving. 2160 calories. This is literally a days worth of calories in a handy travel size package. Thankfully he’s the rational type and will share and ration. still, watching him walk around the street chomping on it, and the associated looks from people walking by...priceless.